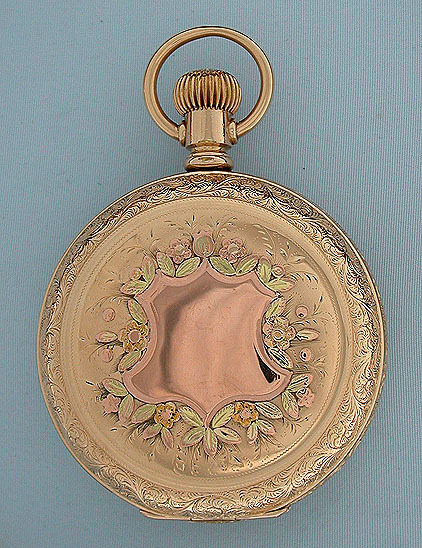 Handsome and scarce Waltham 18/S multicolor antique pocket watch with hunting motif circa 1893. 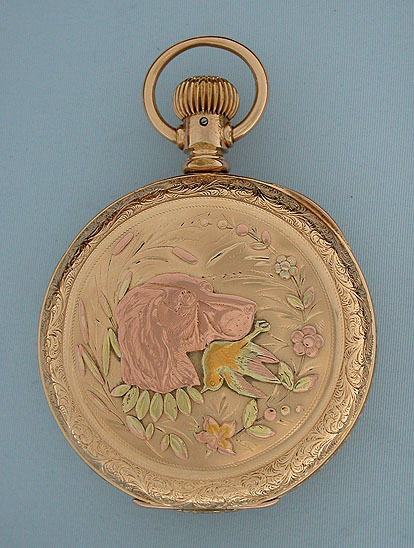 The cover with a hunting dog with a bird in his mouth within a border of colored flowers. The back with a large shield within a similar border. 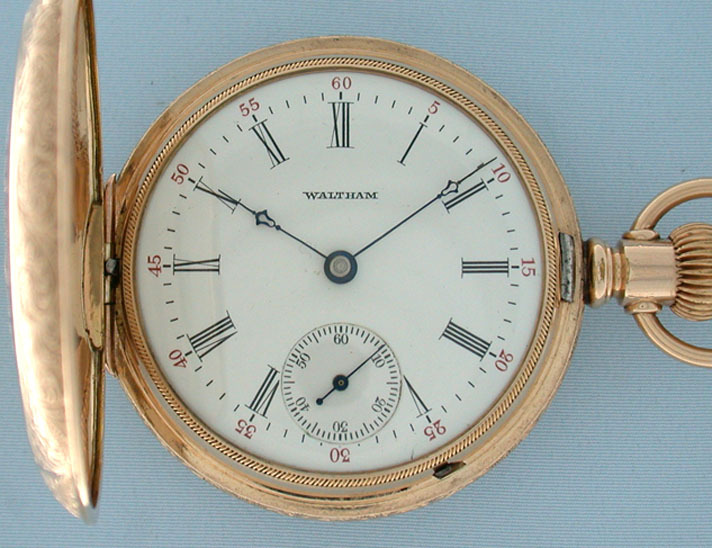 White enamel dial with black and red numbers and fancy blued steel hands. 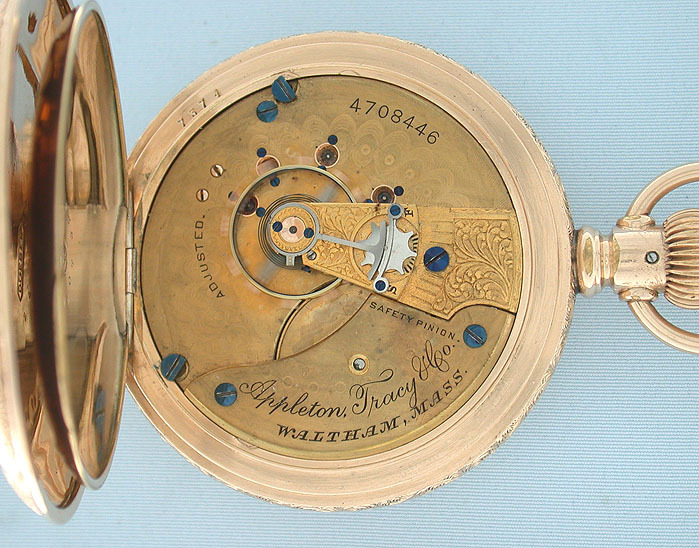 Early and scarce 15 jewel gilt damascened movement with screwed jewel settings.